The season of gift-giving is over now – or is it? The greatest gifts are not necessarily the tangible items we present each other with at Christmas and birthdays, although these are of course wonderful. Usually. The ‘wooden thing’ I was once given defied all explanation and led to contemplation of the giver’s well-being. Gifts of love, affection, caring and education are some of the real gifts. Priceless, beyond monetary value and often at no pecuniary cost to the generous benefactor. Surprise is another gift, but surprise can come with a sting in the tail. Winning the lottery is probably a surprise; as far as I’m aware no one expects to win it on a given draw. However, heart attacks can also come as a bit of a surprise too, although with slightly more predictability than becoming a multi-millionaire than numbered balls being randomly plucked from a ball-plucking machine. Sometimes. Rambla 41 Vermouth was a very pleasant surprise indeed. I’m not really one to drink Vermouth in its own right, although at almost homeopathic levels of dilution in gin and served with an olive or 2 (never a twist!) I have been a regular acquaintance. This is no ordinary Vermouth. Not French, not Italian, but Spanish. Not clear, but amber-russet and cloudy. Unusual. I had no idea what to expect, although the notes on the bottle certainly indicate a high level of confidence in the producer. As it turns out, the bouquet is rich; panettone, Christmas pudding and the general zestiness of dried mixed peels together with summer florals. Tasting is to open up another door of surprise and wonder. Sweet orange and lemon to begin with followed by a labyrinth -like complexity of herbs and acidity, following in a long, dry finish. Served on ice, this is a surprise on every step of the journey and one of the most luxurious, if opulent-tasting aperitifs I have yet to encounter. 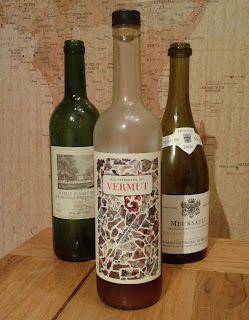 Of course, to me, and many more I’m sure, Vermouth belongs only in a martini. Or at least that’s what I thought, and when it comes to the brews usually encountered in that most splendid field may well be the case. Would Rambla 41 work in a martini? Maybe, but it’s not something I have tried, and for the moment at least, have no intention of doing so. That may just be a surprise too far. The Greatest Wine Bar in Town? Seasonal words, appropriately after a seasonal drink – a schooner of a very dark and rich Madeira. Why the reference to the carol? 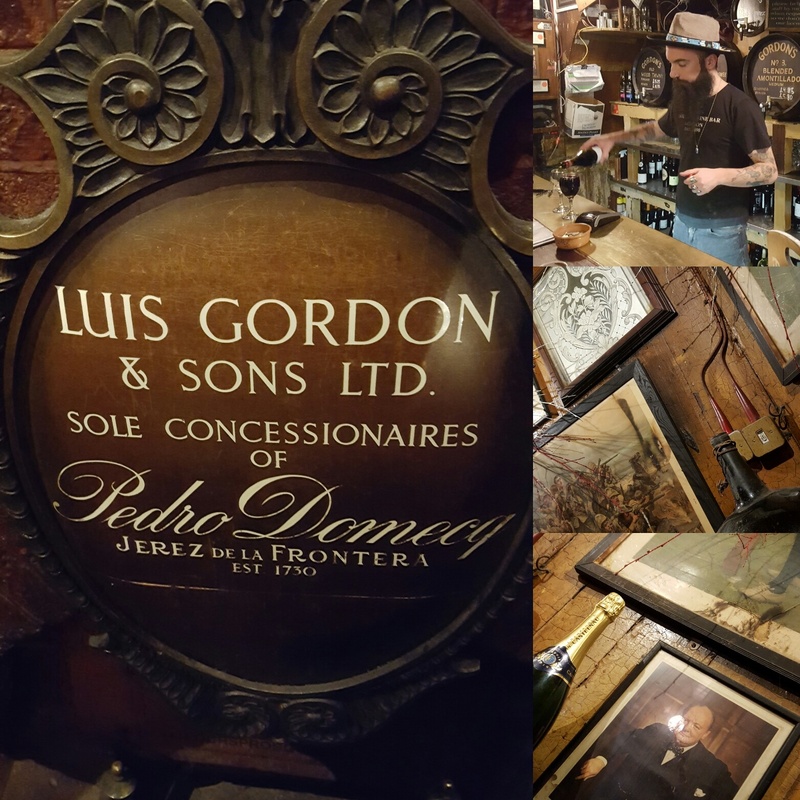 Gordon’s Wine Bar (London’s oldest wine bar, established 1890) is more like a progeny that has grown and developed, and less like an entity created by design. Situated on Villiers Street on the way down from Charing Cross railway station to Embankment tube station, one could easily miss the (now disused) somewhat tatty brown door, which until relatively recently opened to a downward leading staircase. Access now is via an alley to the side, which is also home to a file of outdoor seating. The bar itself is dark, dingy, cramped, musty and usually extremely busy. Sound enticing? I didn’t think so. But think of being near the front of a rock concert. How would you describe that? Probably in adjectives that would make it sound like the seventh level of Hell, yet many, many people pawn their grandparents just to achieve such a thing. It’s down to the uniqueness of what’s on offer, the artistic ambience and the X-Factor, which cannot easily be defined and which is so eagerly sought by talentless buffoons for our amusement (or, more likely, avoidance) on Saturday nights. As previously hinted, Gordon’s has this X-Factor. You can’t set out to assemble it from an identikit construction kit. You can’t buy it in and you can’t fake it. This is something that has matured over the last 126 years, rounding off the tannins and mellowing the sharpness, and yes, there is bricking around the edges. In every sense. In a building that has known occupants including Samuel Pepys and Rudyard Kipling, the odd ooze of charisma should not be unexpected. 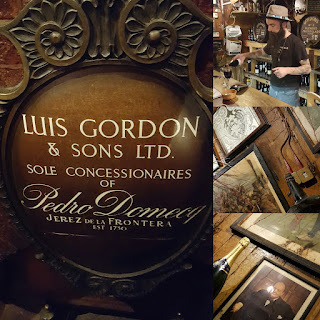 The fact the current owner (Mr Gordon) is unrelated to its founder (also Mr Gordon) is just a pleasing twist and a reminder that there is a titbit of interest around every corner, and corners there are aplenty. At least part of the reason for the success of this place must be that they have stuck to their guns. The only drink they sell is wine, including fortified varieties. No selling out to meet the latest here today, gone tomorrow fad, just a steadfast commitment to what they know best. So come prepared, come quickly, and, definitely do, come all ye faithful. Remember the slightly awkward kid at school who was actually very good at sport, the scruff who seemed to somehow get all the girls or the party animal who, to the shock of everyone, aced all his exams? You probably do – perhaps you even were one of these ‘don’t judge a book by its cover’ characters. We’ve all heard the expression, and no doubt disregarded it from time to time, resulting in a slightly awkward back-tracking not too long afterwards. Life is full of little lessons like this, lessons which have to be relearnt with sometimes alarming regularity. I’ve already discussed one supermarket wine – Sainsbury’s Grenache Rosé – and how impressed I was with its overall presence and its ability to complement one of my home-brewed Indian feasts. Yet I managed to catch myself out again! Tesco Châteauneuf-du-Pape this time, the 2012 vintage; a snip at £10 per bottle. Clearly this wasn’t the bargain basement end of the wine shelf, so I would have been extremely surprised if it drank like rancid strainings, but Mr Tesco, you’ve surpassed yourself with this selection. Pierre Martin, the producer has obviously found the Holy Grail of quality at sensible production costs, despite using what we are told are traditional methods. Beautiful is not a bad word to describe this wine. Perhaps not the most effective word for conveying the Middle-Eastern spices, the body, the fruitiness and the finish, or even the delightful nose of stewing rhubarb, but an efficacious word nonetheless. This wine is beautiful. Why do we so often make the wrong assumptions based on appearances? Conditioning, prejudice, experience and many other reasons I’m sure, but we need to challenge these preconceptions occasionally and watch the spindly boy score the try, then do it again just to prove that it wasn’t a fluke. This wine is just that, causing the raising of that single eyebrow, Roger Moore style, as its full-bodied rubiness caresses your taste buds. Wine enthusiast; writing about life as viewed through the eyes of a ponderer of life in the thinly veiled guise of a wine blog.